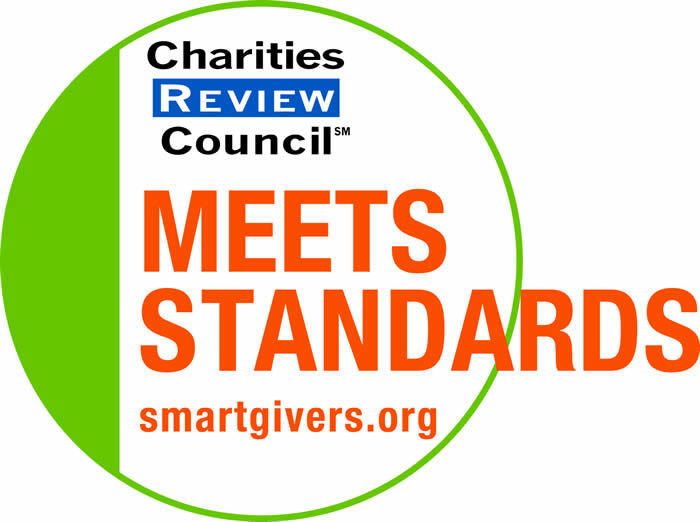 DADS MAKE A DIFFERENCE HAS MET ALL OF THE CHARITIES REVIEW COUNCIL STANDARDS. The standards represent sound principles and practices and affirm our organization's commitment to accountability and transparency. Dads Make a Difference is a trustworthy organization! DADS MAKE A DIFFERENCE HAS A SOCIAL NETWORKING PRESENCE. We have a Dads Make a Difference Facebook page. We are looking to connect with "friends" who are current and former DMAD peer educators, adult advisors, or trainers to hear what's new and how DMAD involvement has impacted your life. Please check us out and once we have verified your DMAD participation we would love for you to share your stories. If you're on Facebook, search for Jan Hayne, Dads Make a Difference, and our Dads Make a Difference Trainers and Dads Make a Difference Alumni groups. TEEN PEER EDUCATOR TRAININGS FOR 2014-15 SCHOOL YEAR. A peer educator training for 22 teens from 3 schools was held on March 14, 2014 at Eagan High School. Participating students came from Eagan HS, Apple Valley HS, and Como HS. DMAD is gearing up for additional teen peer educator training this school year. One-day trainings will be scheduled with dates/locations to be determined by interest. We have funding from Gannett Foundation as recommended by KARE 11 to support training. Please contact Jan Hayne if interested. CURRICULUM REVISIONS. In addition to a new curriculum DVD, DMAD made changes to the curriculum around "healthy relationships." With funding from Wal-Mart Foundation we added two new activities focusing specifically on healthy relationships and wove the concepts as a thread throughout the curriculum using simple language changes as well as new processing and journal questions, moving the discussion of healthy relationships from friendship, to dating, to parenting. We piloted both the new DVD and curriculum at the Nov 2009 training in the Twin Cities and continue to get postive feedback on both since that time. See training page for more details. DMAD TEEN PEER EDUCATOR TEACHING. DMAD is looking forward to getting reports about all the DMAD teaching teens are doing in their communities. If we can be of assistance in any way as teaching opportunities are scheduled, please let us know. We also like to observe teen peer educator teaching when it fits in our schedule, so please let us know when you get dates scheduled by emailing Jan Hayne. DMAD CELEBRATED 20-YEARS WITH EVENT AT DAKOTA LODGE ON MAY 30,2013!!! DADS MAKE A DIFFERENCE was born from the collaboration of four amazing women in 1993. We have much to CELEBRATE and be THANKFUL for. DMAD is grateful for everyone who has supported us over the years! Our20th Anniversary Celebration was held on Thursday, May 30, 2013 from 5:00 to 9:00PM at Dakota Lodge in Thompson County Park in West St Paul, MN. The event included entertainment (T. Mychael Rambo and others), buffet dinner, program, stories, special acknowledgements, and lots of fun and laughter. Where you there? If you'd like to make a donation to help DMAD continue our important work, you can click on the GiveMN Donate button further down this page and in other places on the DMAD website. Two of the major causes of children living in poverty are too-early parenting and absentee fathers. Research shows that a family headed by a teen mother will likely have reduced educational attainment, reduced income, and increased reliance on public resources. Research also shows that children with involved, loving fathers are significantly more likely to do well in school, have healthy self-esteem, exhibit empathy and pro-social behavior, and avoid high-risk behaviors such as drug use, truancy, and criminal activity compared to children who have uninvolved fathers. Preparing young people to become caring, competent parents may be the single most effective way to prevent child abuse and other violence, increase mental health, advance school preparedness, and achieve academic success for future generations. DMAD builds the capacity of trained teen peer educators in local communities to focus the attention of youth on the personal, economic, and social impact of the decisions they make before becoming a parent. REDO OF CURRICULUM VIDEO/DVD. DMAD entered into a partnership with Twin Cities Public Television in fall of 2008 to co-produce a program for their MN Channel titled Be There: Dads Matter. The program was completed in August 2009. You can now view Be There: Dads Matter online at your convenience in the MN Video Vault found at www.mnvideovault.org. Search titles alphabetically to locate the video for viewing. In addition, tpt has edited the half hour program to a shorter version which replaced our Lesson 1 curriculum DVD beginning with our Fall 2009 teen trainings. If you are a current DMAD customer and need a replacemnt DVD, they are available for a nominal cost. Please contact Jan at the DMAD office. For others interested, the DVD is also available for sale from the Products page of this website. President Barack Obama shared his White House Father's Day Proclamation 2012, "For many of us, our fathers show us by the example they set the kind of people they want us to become. Whether biological, foster, or adoptive, they teach us through the encouragement they give, the questions they answer, the limits they set, and the strength they show in the face of difficulty and hardship. Our fathers impart lessons and values we will always carry with us. With their presence and their care, they not only fulfill a profound responsibility, but also share a blessing with their children that stands among our truest traditions." DADS MAKE A DIFFERENCE BOARD - DMAD has a great, hard-working 4-member board that includes 3 wonderful men who understand and help us educate about the important role of fathers and other male caregivers in the lives of children. DMAD Board members currently include: Steve Katz (President), Tom Moberg (Vice President), James Ford (Treasurer), Kelly Watson (Secretary). Please contact Jan Hayne, DMAD Executive Director, if you are interested in becoming a DMAD Board member. We have 3 vacancies. We are always looking for outstanding candidates to fill board vacancies as they occur. TAX DEDUCTIBLE ON-LINE DONATIONS are now possible Click the donate button located in various places on the website to make an immediate contribution in any amount you choose. MAKE A FINANCIAL CONTRIBUTION to help Dads Make a Difference continue this important work. All donations are tax deductible. Please check out our DONATE link to make a donation that will enable us to reach more youth with our mission: to promote the positve involvement of fathers and to educate youth about responsible parenting. THANK YOU for your support of Dads Make a Difference. DO YOU HAVE IDEAS FOR FUNDRAISING ACTIVITIES, especially activities that participating schools and organizations statewide can do right in their own communities to help raise money to support DMAD work? Please share them with the DMAD Fundraising /Development Committee by emailing Jan Hayne. NATIONAL MEN'S HEALTH WEEK - The purpose of Men's Health Week, observed in June, is to heighten the awareness of preventable health problems and encourage early detection and treatment of disease among men and boys. This observance gives health care providers, public policy makers, the media, and individuals an opportunity to encourage men and boys to seek regular medical advice and early treatment for disease and injury. National Men's Health Week was signed into law in 1994 by then-President Bill Clinton. Congressman Bill Richardson noted, "Recognizing and preventing men's health problems is not just a man's issue. Because of its impact on wives, mothers, daughters, and sisters, men's health is truly a family issue." A list of some Men's Health Week partners and activities is online. Check out the Men's Health Network calendar for events in your area. NEED RESOURCES ON FATHERING ISSUES OR FATHER SERVICES IN MN? Check out our link to the MINNESOTA FATHERS AND FAMILIES NETWORK for some great information including the publication "Do We Count Fathers in Minnesota?". STATEWIDE FATHERHOOD BLUEPRINT, Fathers to the Forefront: Increasing healthy father involvement with children, families, and communities, is a statewide plan to strengthen Minnesota fathers and families. This 5-year action plan promotes concrete steps for agencies and organizations to increase father-friendly and father-inclusive programs and policies. Jan Hayne, Dads Make a Difference Executive Director, was one of 65 individuals who supported the development of this action plan. FEBRUARY IS TEEN DATING VIOLENCE AWARENESS AND PREVENTION MONTH. The repercussions of teen dating violence are impossible to ignore—the issue affects not just youth but their families, schools and communities as well. Teen Dating Violence Awareness Month (TDVAM) brings national focus to the issue of teen dating violence, highlights the need to educate our youth about healthy relationships, raises awareness among those who care for them and provides communities with a critical opportunity to work together to prevent this devastating cycle of abuse. Visit ww.teendvmonth.org for more information. APRIL IS CHILD ABUSE PREVENTION MONTH. For resources and information check out the Prevent Child Abuse MN website . MAY IS TEEN PREGNANCY AWARENESS MONTH AND TEENWISE MN CONFERENCE. OCTOBER IS LET'S TALK MONTH. For some great resources, statistics, and other information visit the Teenwise website. OCTOBER IS DOMESTIC VIOLENCE AWARENESS MONTH. For resources and information check out our links to MN Coalition for Battered Women and National Coalition Against Domestic Violence. JOURNEYMAN is a great documentary about men mentoring boys and the pain boys feel growing up without fathers. Kevin Obsatz, co-director of the film was a DMAD participant when he was in high school. Charlie Borden was also co-director and producer of the film. For more information about this documentary, see the September 2008 DMAD newsletter or go to www.mirrormanfilms.org. The MINNESOTA COUNCIL ON FAMILY RELATIONS strengthens all families by educating and supporting family professionals and promoting connections among those involved in research, policy, and practice.